Remarkably powerful and incredibly versatile, the B.M.F.™ 5-in-1 Stun Gun Flashlight is the ultimate self defense tool. 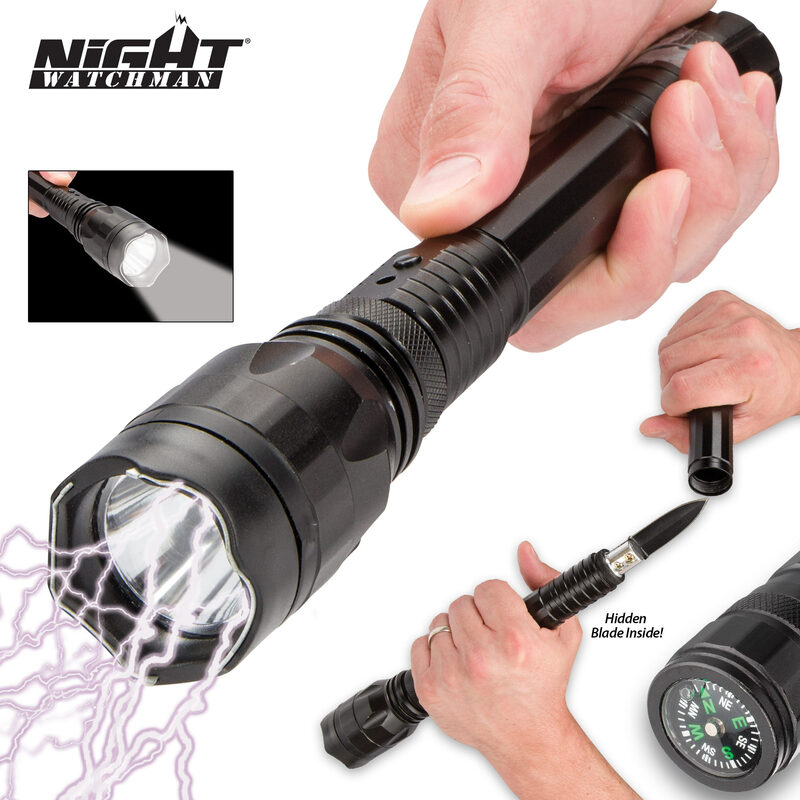 Far more than just a stun gun/flashlight combo, this multitalented personal protection system features an incapacitating 2 million-volt stun gun, an ultrabright LED flashlight with three modes, a razor sharp spear point knife, compass and baton in one menacing, attacker-intimidating device. It boasts more than enough muscle to stop any would-be assailant and is extraordinarily useful in countless other emergencies and everyday situations. Truly unrivaled in both performance and capabilities, there's no foe too dangerous, no alley too dark and no emergency too dire for the B.M.F. Includes rechargeable battery and AC charger cord.